Need formula or know of someone that does?? 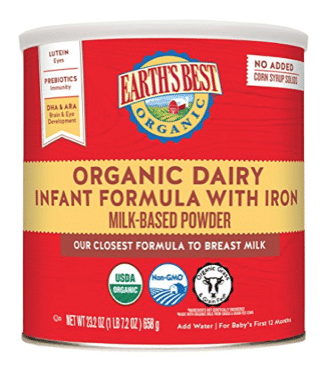 Clip this new 15% off Earth’s Best organic formula on Amazon and stack it with the 5-15% off Subscribe and Save discount for as much as 30% off! Choose from dairy, soy, gentle, sensitive, or toddler formula. Here’s the best priced deal. As low as $68.57 for 4 cans after coupon and 15% S&S, so just $17.14 a can! As a price comparison, this same Earth’s Best formula sells for $24.49, so this is an awesome price per can! Go here to see the other formulas you can use this coupon on. 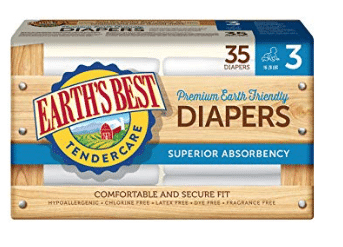 And if you need diapers, you can also clip a new 15% off Earth’s Best chlorine-free diapers coupon on Amazon! Stack it with the 5-20% Subscribe and Save discount for as much as 35% off! Choose from sizes 1-6.